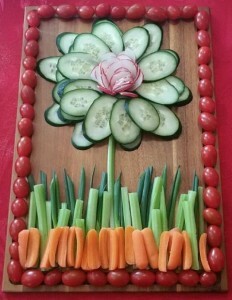 Absolutely simple yet so impressive! You can see that I simply sliced some carrots, cucumber, radishes, celery and green onions, but instead of loading them on a platter around a bowl of dip, I arranged them into a picture. 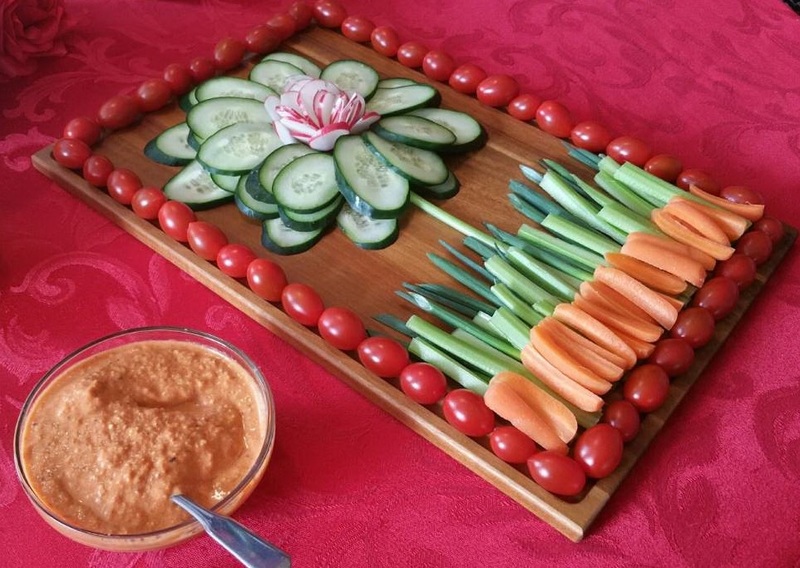 You could use pretty much any type of veggie to create any scene you want. One warning though: I had a terrible time getting my guests to eat any because they didn’t want to disturb the picture. 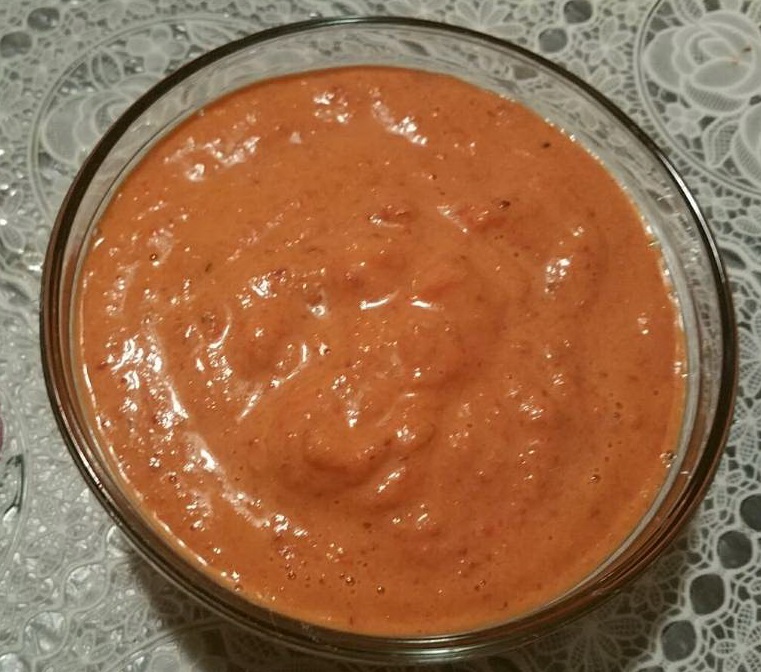 For the dip, I served roasted red pepper dip. 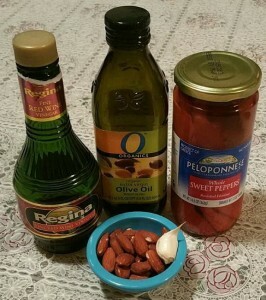 So easy and yummy. Finely chop 1/2 cup of almonds and one clove of garlic. Add 1 cup of roasted red peppers from a jar, drained, 2 teaspoons red wine vinegar and 2 tablespoons olive oil. Whisk together and chill. 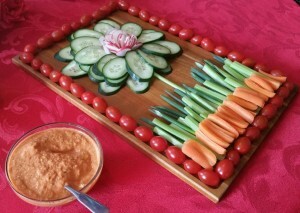 There you have it … and very simple yet impressive tray of veggies and dip. Enjoy this along with many of the easy brunch recipes to come.